Kimono is the first time in history appeared in the New York Fashion Week : Happy Aging & Beautiful Anti Aging loving. Veronica persica was noticed that are in bloom . 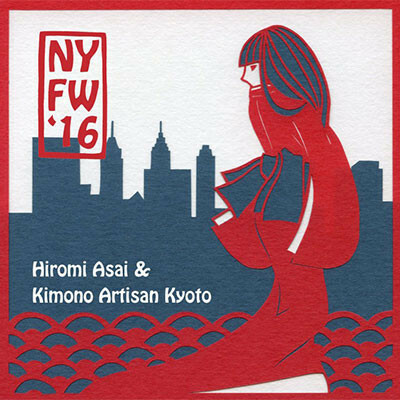 Today, The first time in the history of full-fledged KIMONO brand in New York collection by Fashion designer Hiromi Asai. She is along with the Kyoto kimono craftsmen , can be used to perform a fashion show of the 2016 autumn-winter collection. Beyond the culture , beyond the nation , we are in the fashion concept that the feel of the earth whisper.Beyond the culture , beyond the nation , they are in the fashion concept that the feel of the earth whisper.